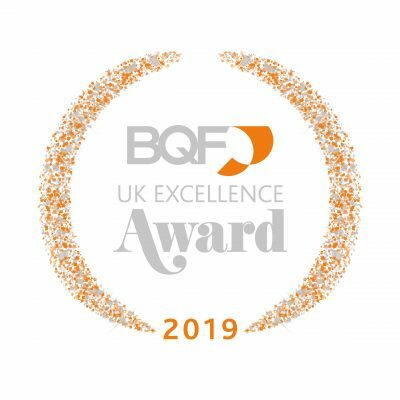 The UK Excellence Award is one of the highest accolades any organisation in the UK can achieve. Launched in 1994, the award recognises organisations which have demonstrated excellence in all areas of operation. Each category has equal award status. All applicants are assessed against the EFQM Excellence Model which provides a structured pathway for improving business performance – identifying key strengths and areas for improvement. Whichever route you decide to take, please email [email protected]bqf.org.uk to discuss in more detail. Applicants must be able to demonstrate a high level of performance against the excellence model criteria through e.g. previous external assessments, the submission document should comply with any restrictions defined for the document e.g. page count willingness to host an assessor team for the agreed duration of the visit. SafeMove is a successful trading arm of Yorkshire Water based at their head office in Bradford. Formed in 2001, its core activity is the compilation of Drainage and Water (CON29DW) searches to customers in a fast efficient way. Simplifying the conveyancing process takes the stress and hassle of having to deal with multiple search providers away and assigning customers with a dedicated search team who can provide a personalised service. Northumbrian Water Limited (NWL) is one of ten regulated Water and Sewerage Companies in England and Wales, operating in the north east of England, trading as Northumbrian Water (NW), and in the south east of England, trading as Essex & Suffolk Water (ESW). In the north east, the business comprises the supply of both potable and raw water and the collection, treatment and disposal of sewage and sewage sludge, serving 2.7 million people In the south, we supply water services to 1.5 million people in Essex and 0.3 million in Suffolk. All organisations can enter our awards. Please email [email protected] for more information on who can apply for the UK Excellence Award and the criterias for applying. How do I apply to this award? Whichever route you decide to take for the UK Excellence Award, please email [email protected] to discuss your application in more detail. All award winners will be announced at our UK Excellence Awards Ceremony which will take place on the 15th of March, 2018 at the Guildhall. For more information on our Awards Ceremony please see our webpage.